This April, Rebellion are launching a Spring Special featuring brand new stories of classic humour characters! Cor!! and Buster Special features a cover by Neil Googe showing a cast of classic characters in Trafalgar Square, including Ivor Lott and Tony Broke, Faceache, Frankie Stein, X-Ray Specs and Buster himself, - and I'm pleased to say that the special will include a three-page intro strip that I drew, from a script by John Freeman. Rebellion Publishing is proud to announce the Cor!! and Buster Special will be tickling your funny bone this spring and a whole new generation of readers are about to experience comics’ humour at its finest! 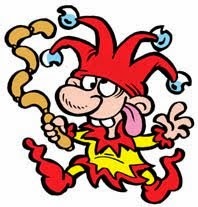 It will be the first use of the vast number of classic humour characters by Rebellion since it acquired the archive of comics publisher IPC and the Cor!! 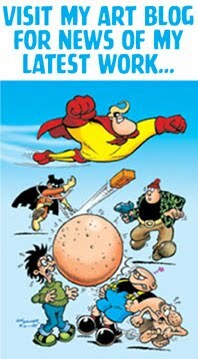 and Buster Special offers new takes on some of the greatest characters from Britain’s golden age of humour comics, with an edgy celebration of daft, zany fun. The special will also complement Funny Pages, Rebellion's title for Free Comic Book Day on 4th May, which will be available for free from participating comic book stores around the world. Editor on the Cor! and Buster Special, Keith Richardson, said: "Humour titles like Cor!! and Buster were a massive part of many a childhood but have been sadly missing from the newsstand for years - the time is ripe to bring these amazing characters back for a new generation. Just at a time when many kids will be on their Easter break, this special will introduce them to some of our favourite classic characters, but all with a modern twist. For us, it's time to put the comical back into comics!" 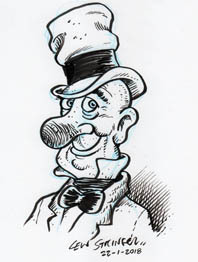 Humour comics were once a constant staple of the British newsstand, with dozens of titles filled by some of the industry's greatest talents, such as Leo Baxendale and Ken Reid. IPC/Fleetway titles such as Cor! 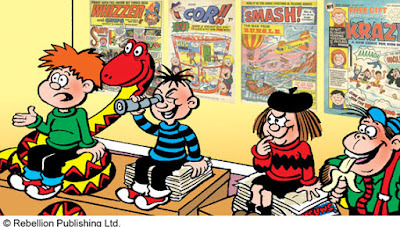 !, Buster, Whizzer and Chips, and Shiver and Shake entertained generations of children for decades. 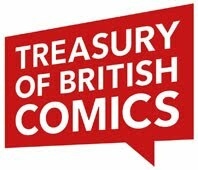 They were part of the acquisition by Rebellion of arguably the world's largest archive of English-language comics in 2016 and 2018. More info soon, - and keep an eye on the Down the Tubes website for an exclusive interview with the project's editor, Keith Richardson! Excellent news. I hope it sells well because maybe as well as the Scream & Misty special around Halloween that Rebellion publish a fun comic called Shiver & Shake!! Sounds nice.. 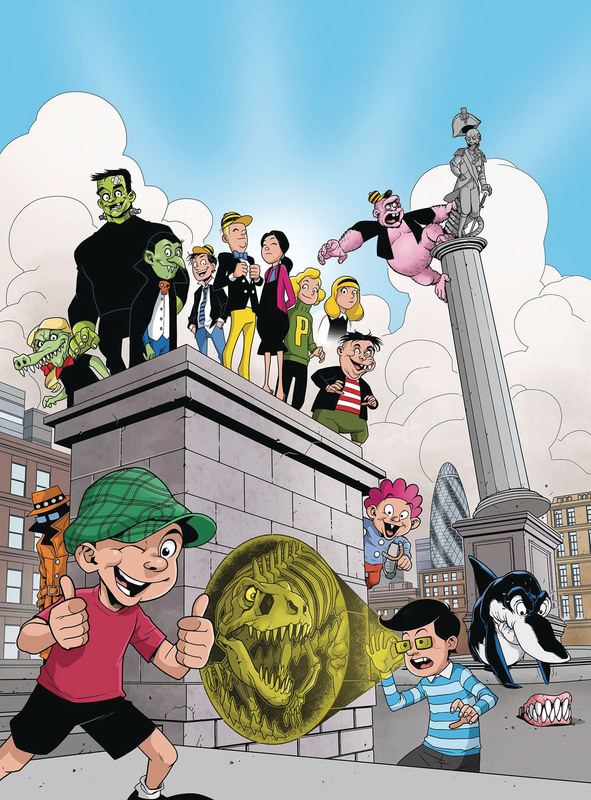 I would make the odd quibble.. the cover art is good, but I'm not too keen on some of the character updates.. like to me, that doesn't really look like Buster or Frankie.. Frankie there could just be any old Frankenstein's monster parody.. but this might just be done to style and updates.. I know Busters Design at the end of the run was... erm.. not the same as the original (I think on the most part, we had best forget the 'how buster ended' page...) but then, it is a modern take so fair enough.. just.. I think there is a line between stylised changes and just a new design completely.. but the art is pretty good. I'm just not too keen on some of the design courses.. but designs can be a personal taste thing.. I would also quibble with the use of "Britain’s golden age of humour comics",, I mean, when would that be? taking the spans of Buster and Cor.. we have 1960 till 2000... British humour comics themselves started mid 1880s really and there was the boom of humour starting around the early 1900s, leading to the 1930s launches of Beano and Dandy.. so it's a pretty vague term.. tastes in humour have changed and some 1930s humour doesn't appeal to a wide range of people these days, so would that be an excuse to say it was 'bad'?.. It can be a very vexed term.. but it's the standard advertising spiel "These were the characters from the great ages, now they are of course gonna be updated and great!" I'd say they're right. The golden age of *humour* comics would be the 1960s to 1990s. Before that, most comics had a 50/50 mixture of humour and adventure content. After that, we get the comics/magazine hybrids like Toxic. I agree that, while I'm pleased these characters are coming back and that the art is fantastic on the cover, I do find the new design of the characters quite jarring. I actually don't mind this new version of Buster, and X-Ray-Specs is rather similar to that of old. To me, Kid Kong is the stand-out klunker. Just the angry expression doesn't suit the Kid of old. 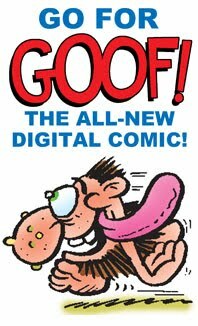 As I've been reading a lot of old comics lately I notice an overwhelming lack of detail - even in the modern Beano - compared to their older counterparts. A lot of this, I'm guessing, is down to time constraints, but that I would think that would not be an issue in a publication such as this, so I'm hoping that the strips inside are not modern, over simplified versions. Maybe it's just me being a bit of an old fuddy-duddy. Great news. I certainly will be buying a copy. My intro strip follows the traditional styles but I think most of it will re-imagine the characters for a modern readership. At this point though I don't know what else is in there, or who's handled which characters. We'll soon find out though! Yeah! Really hope this does well and becomes a regular thing. This is very exciting! Hopefully this will pave the way for a more permanent reboot! Said it on social media, will say it here: They need to recolour Kid Kong to his usual brown. They've made him look like Grape Ape. Not entirely a case of 'I DON'T LIKE CHANGE', as it happens. There's a non-zero chance of Warner Bros being unimpressed with someone looking like one of their properties (particularly a property recently featured in DC Comics' Nightwing/Magilla Gorilla Special) being on the cover of a comic from a rival company. It's a meaningless change with the potential to cause C&Ds come flooding in. I've no idea why Kid Kong is now pink instead of brown but there's still a significant difference between him and Grape Ape I think. Besides, Kid Kong was around a few months before Grape Ape, although both debuted in 1975. I hope this is a success and they make it a regular thing. 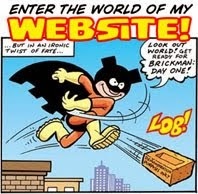 Though thanks to Beano, this style of comic hasn't been COMPLETELY missing from the newsstands as Richardson claims. Obviously DC Thomson have been modernising the Beano cast in recent years, and it'll be interesting to see how the Fleetway characters are modernised. YES YES YES YES YES!!!!! Long overdue, and hopefully the first of many - even if it's just a quarterly or bi-monthly special. Can't wait! James, Keith was talking about the titles missing from newsstands, not the style of humour. I'm guessing it might be annually initially, Kevin, like the Scream and Misty specials. I think it all depends on attracting the attention of children and parents though. 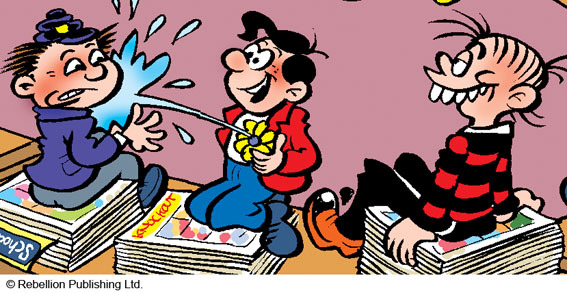 Comic fandom in itself isn't a big supporter of humour comics, but the potential market outside of fandom, - the general public who buy more copies of the Beano every week than most American comics sell in a month, - is impressive. Oh that wonderful news let's hope it attracts the attention of quite a few kids rather that collectors and old gits like most of us here lol. I'm looking forward to seeing some of the revamped characters. So am I. I haven't seen any other pages yet but I'm sure we'll get a sneak peek soon! The only problem is : other than websites like this, how is the general comic-buying public (i.e. 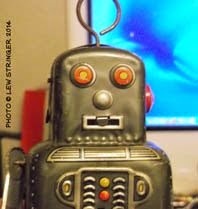 the kids) going to be made aware of this? Back in the day, a new comic would be promoted in one of the others made by the same publisher, or - very occasionally - a TV commercial. So following that pattern, the only place this could be advertised is 2000AD and Judge Dredd Megazine... and I get the feeling that the readers of those won't be that interested. I suspect this is being published more for the "old gits" mentioned previously (i.e. connoisseurs!) than the current generation, and that's not a bad thing. 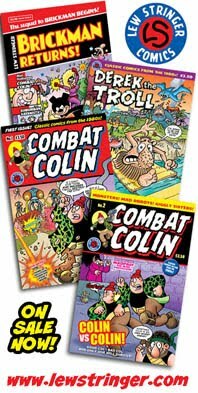 Would it be out of the question to publish a retro-style funny comic - maybe a combination of reprints and new characters - aimed at us old gi... er, connoisseurs, that isn't "adult" humour like Viz? I'd buy it, and judging from the comments above, many of us would. Infinity seems to be aimed at the same demographic, and look how well that's doing. So if you're one of those people (hello, gone a bit Denis Norden there!) who have been crying out for something like this, get behind it, spread the word, and let Keith Richardson know : WE WANT MORE (and thank you for the two upcoming funny comics)! I take your point, Kevin. I'm sure they've considered that and will be advertising it in the appropriate places such as other kids' mags and magazines bought by parents. Back in the heyday of comics, potential sales were so high that they could afford to advertise on TV (and it was every new comic by he way, not just the occasional one, plus free gift issues). These days, no one can expect sales of 300,000 or so but hopefully they'll find ways to promote it. for some reason, the last few comments made me think of the good film 'Make mine a million' which was Arthur Askey, supported by Sid James and Beranrd Cribbins. Sid James is working with a professor who has invented a new soap power which is really good, but all the average buying public will say is "If it's so good, why isn't it advertised on telly?"